In order to prepare students for college and beyond, we use technology throughout the day at BMC to enhance student learning. 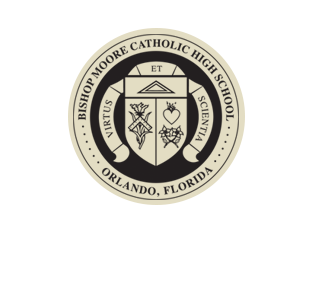 In 2012, our efforts were acknowledged, and Bishop Moore was awarded the “Innovation in Education” award from Catholic Teacher Magazine. The following FAQ section will cover most of the information that was shared with parents during the most recent iPad information session for new and transfer students. This large room is adjoining our Teal Labs and at times can become a large classroom as project based learning comes to life with lessons that extend outside of these Labs. This flexible environment allows for a variety of purposes. The media center is an open space where students can gather to work independently or collaboratively, access charging stations or even just take a few minutes before the next class. 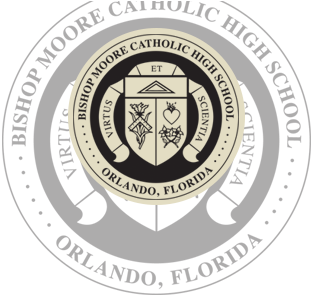 Bishop Moore is one of a handful of schools in the world using TEAL (Technology Enhanced Active Learning) technology. We modeled our labs after M.I.T's to allow for the latest in interactive software and peer collaboration. In addition to subject-specific labs across our campus, our main lab functions as a multi-disciplinary studio classroom. This interactive learning space in our media center serves as the premiere learning environment for students to tackle research tasks using Internet-based information. Here students brainstorm, debate, and respond to given assignments while building leadership and collaboration skills. 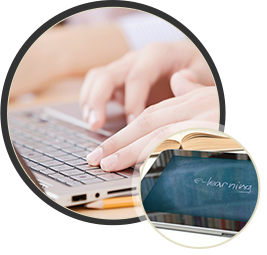 These labs increase the amount of course material we can offer, without adding the expense of purchasing additional curriculum, materials, and expert instructors. If you’re having issues with our supplied technology, contact Tech Support for help. We issue all students a BMC email account. BMC partners with Google Applications for Education, not only giving students a direct point of electronic communication for their academic needs, but also allowing them full access to the Google for Education Application platform.